On a beautiful, 70-degree Saturday afternoon, the crowds around the Tidal Basin to view these gorgeous beauties were expected, but nevertheless daunting. A view of the Jefferson Memorial. 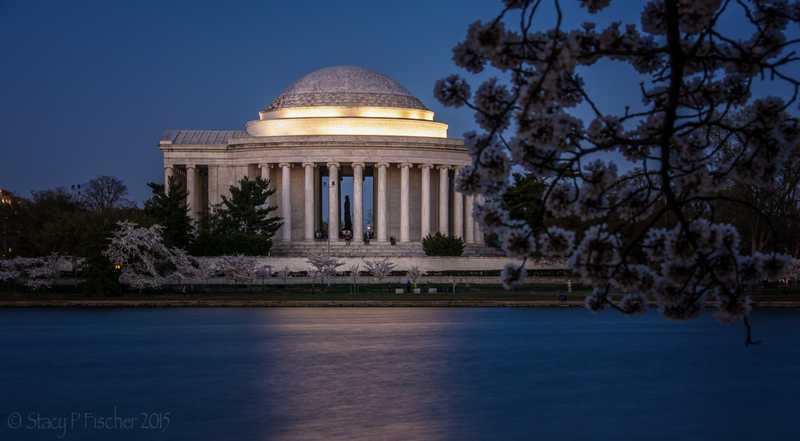 This entry was posted in Landscapes, Monuments & Memorials, Places, Washington, D.C. and tagged blue hour, cherry blossoms, golden hour, Jefferson Memorial, photography, postaday, Washington Memorial. Bookmark the permalink. Aww, thanks, Boomdee. I love the Tidal Basin, with or without the blossoms 😀 Night visit, definitely, next time! These are all gorgeous. My favorite is the 3rd one down. Thanks, as always, for your wonderful comments. And happy you have a caring guy in your corner as well! 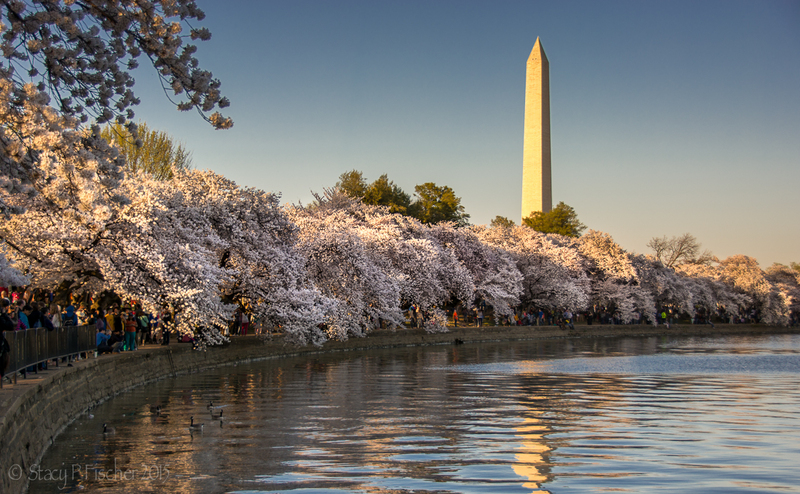 Wow – will have to put DC at cherry blossom time on my bucket list! Geez, Stacy, are you TRYING to fill me with envy? 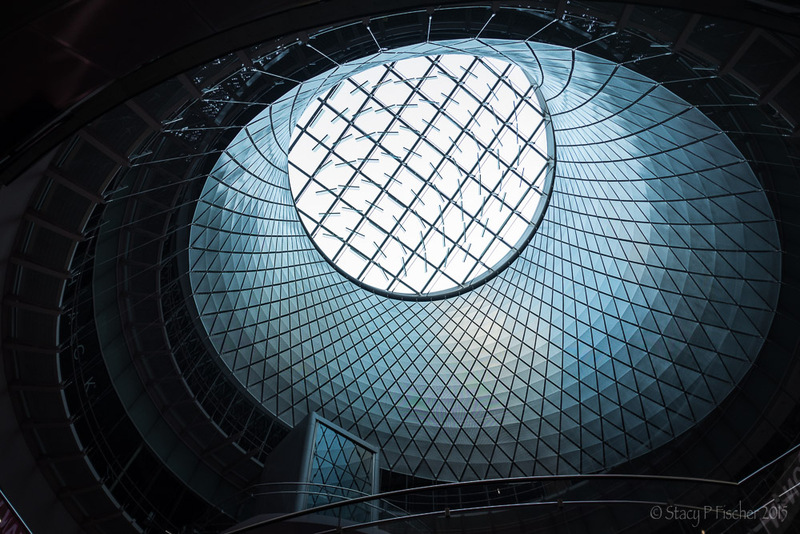 You are so talented and these shots are incredible! Beautiful shots, Stacy! 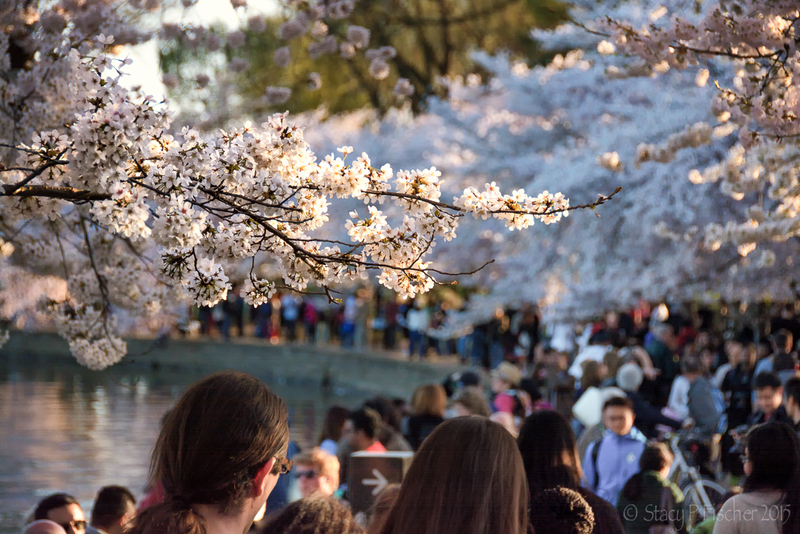 The only time I’ve been to DC was a few weeks after the cherry blossoms were at their peak, but someday I’d like to see them when they’re at that point. These are really magical. I would love to see it for myself! wonderful shots -especially the night one and the cherry trees!! Thanks so much for sharing! I know DC isn’t that far away, but I hate crowds so much that I haven’t gone except on business once years ago. I’ve always heard the cherry blossoms are gorgeous there and loved seeing them. How beautiful and I love the pictures. It must have been an amazing sight to behold ! Oh, it definitely was. Maybe some day you’ll have a chance to come stateside to see them 🙂 Thanks, WC! Great photos. Love the deep blue in that Blue Hour photo. Oh how gorgeous!! Beautiful images all! Thanks, Joe. Have you ever been to DC to see them? The shot of the crowd of people made me quite happy to have missed the festival Stacey. We walked around the Tidal Basin two days before in relative solitude! We drove out of DC watching the traffic inching in bumper to bumper. The Tidal Basin walk is very beautiful and crammed full of fascinating memorials and statues and views and the cherry blossoms were stunning to see. It’s a very beautiful place and you have captured it so well! Love the ‘blue hour’ shot of Jefferson! 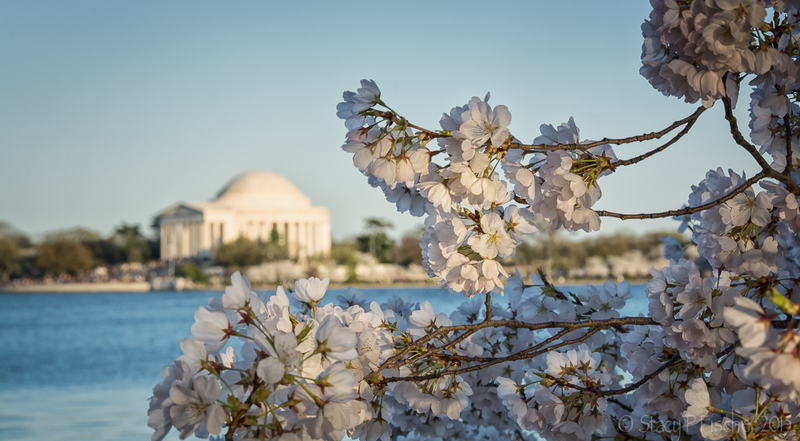 Lovely images of the blossoms, especially that golden light hitting the National Monument and the line of that intersecting with the curve of the tidal basin. It is so nice to have a partner who is supportive of one’s creativity, isn’t it? I’ve popped back to see it and I am glad I did. That is a lovely shot of the Jefferson Memorial.